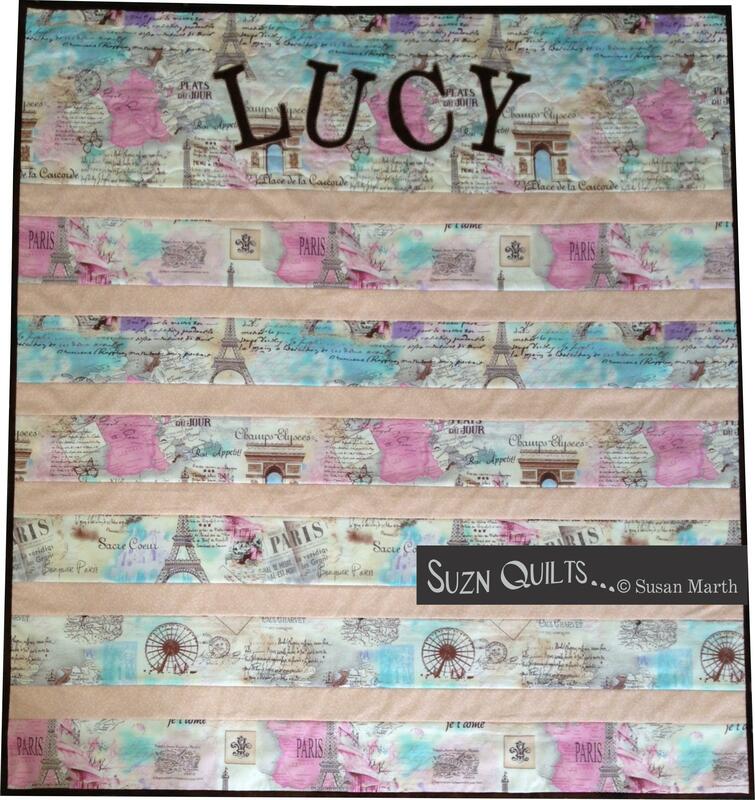 August | 2014 | Quilting my way through life! & I’ll ship out your new book. 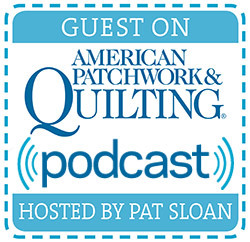 I hope you enjoy the quick & easy quilts as much as I do! so of course I had to make a quilt! 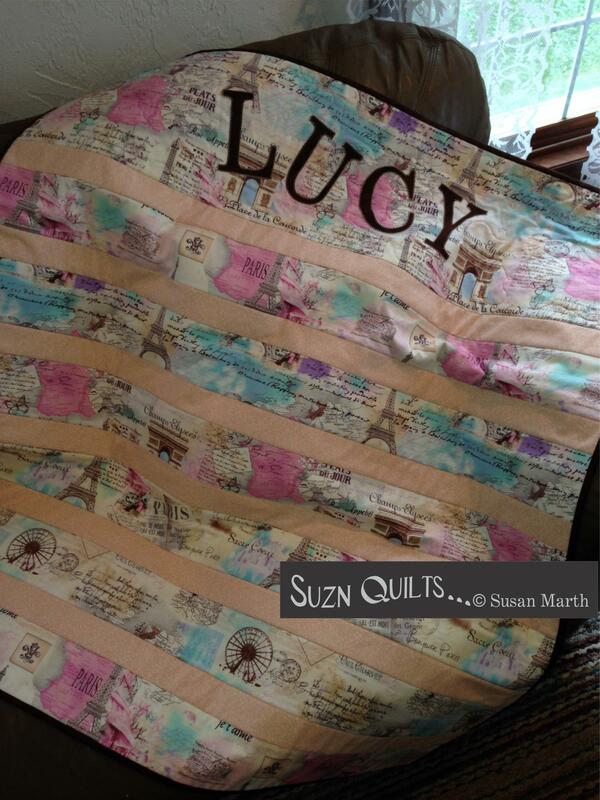 I already knew what quilt I was going to make for Lucy. two summers ago I designed this book for just these occasions. & it also has instructions for a lap quilt for kids, toddler up to 100 yrs. old! Lucy’s mom (my niece, Amanda) decorated her nursery with a Paris theme. She gave me the Timeless Treasures Paris fabric she’d bought then I added the softer pink for the alternating stripes & a matching brown for her name & the binding. I love the way it turned out & I hope Amanda does too! We’re going to see (& spoil) Lucy in a bit. 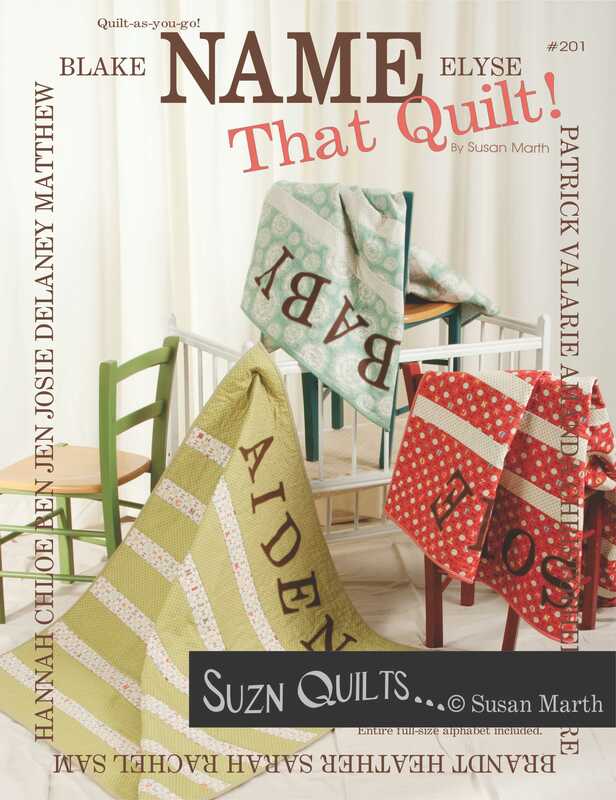 I’m going to give away a “Name That Quilt” book! either one you made or one you received. I’ll post the winner here on Monday.